Customer information and trust are critical assets, which businesses of all sizes seriously must take an active role in protecting. The privacy and of any business including customer data cannot be simply left to chance. Once you have lost your name or customer’s trust, you have lost their business, and that negative “word of mouth” can either make or break your company image and your product line, services or even an entire company. With the appropriate Stealthwalker protection is in place to avoid Target’s massive privacy breach – and the associated harm to your valued customers. Stealth Walker is a software-based privacy tool. It provides easy connectivity for the user and has a very straightforward mechanism to establish a connection. StealthWalker creates an tunnel between your PC and the server, which means not only your browsing is secure, but also all communication going through the Internet, such as messengers, Skype, FTP, Email, etc. are all encrypted. Stop Geo-Targeting In Its Tracks prevent online marketers, search engines and websites from using your IP address or location. Protect Your Information encrypt all your internet traffic and evade hackers and snoops. Browsing Internet securely using public Access Points and WiFi hotspots. Hiding your real identity online while using Forums, Blogs and Social networks. Encrypting (AES-256) and hiding your Internet traffic from ISP or local network attackers. Unlike our competitors we write 100 percent of our software, manage our network, and Encrypt the enabling us to deliver fast and reliable VPN service. We’re the only company who handles your data this way so your privacy and security are protected from end-to-end. Our network is secured with 256-bit encryption, and we’re constantly optimizing our network to provide unlimited bandwidth and speed, so you can stream your favorite movies and TV shows in high definition. Stealthwalker runs seamlessly in the background so you can use the Internet without any interruptions. including DNS encryption and protection against DNS leaks (What is a DNS leak?). Fast VPN servers and bandwidth misuse monitor to avoid bottlenecks and overload issues. Custom Tor (TOR Network) enabled built-in browser to offer multiple encryption layers, improved privacy and anonymity. All-in-one built-in privacy solution offered by third-party open source tools such as Veracrypt, Keepass, Eraser, Processexplorer, Processhacker, BleachBit, Customized Firefox, Dnscrypt, Tor, Autoruns, Desktops, WifiGurad, GPG4USB, Certificates tools, and Tcpview. Easy-to-use VPN apps for Windows, iOS, and Android. Custom control panel for Enterprise clients with advanced features such as and VPN server management. Enhanced user’s guide (click here to view). Enhanced user management system (click here to view). 5-star customer support in case you run into issues, our world-class support team is at your service. We offer round-the-clock customer support. 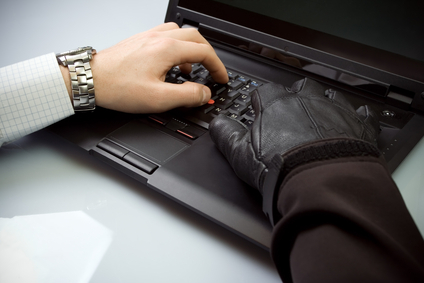 Fraud and identity theft are becoming more and more commonplace. While using StealthWalker, no one can intercept information such as your credit card numbers, passwords, instant messages, or any other sensitive details that could be used against you. OpenVPN2 has been reviewed please read the security assessment here. StealthWalker is exclusively offered to businesses and enterprises this includes dedicated VPN servers and additional features on the Web based Control Panel for easy management. Once your order is completed and verified we will send you an email containing your login details to the StealthWalker Admin page where you can add new users according to the number of licenses purchased and manage all of them smoothly. Orders are eligible for a full refund only if a license/order key is not used within 30 days after the purchase date. We accept digital currency based on Bitcoins, Litecoins, and Feathercoins please Contact Us for more information. You can use StealthWalker for free with no limitations for 3 days enjoy before you buy please do let us know if you would like to extend the trial period. Computer security is security applied to computing devices such as computers and smartphones, as well as computer networks such as private and public networks, including the whole Internet. Your company branding is usually the first thing people associate with your business, and because of this, it is one of the most important elements of your business. You need to protect it from people looking to either debase your standing within your industry, or use your good image to trick others into thinking their business is your business, and walk away with your customers. A virtual private network (VPN) is a logical connection between two nodes. Data shared between these nodes are transferred through a secure encrypted tunnel. These systems use encryption and other security mechanisms to ensure that only authorized users can access the network and that the data cannot be intercepted. DNS spoofing (or DNS cache poisoning) is a computer hacking attack, whereby data is introduced into a Domain Name System (DNS) resolver’s cache, causing the name server to return an incorrect IP address, diverting traffic to the attacker’s computer (or any other computer).